Jason and Alan go "live to tape" for only the second time and this time we are joined by the one and only Andre Shirdan! 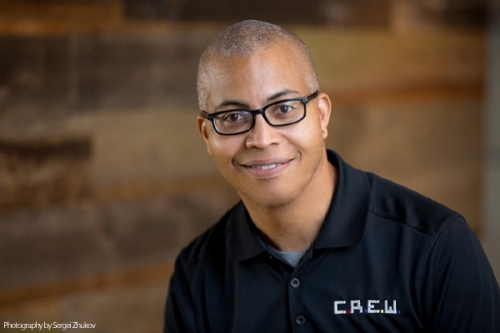 Andre is a speaker, dental consultant and coach with a ton of good information and a great sense of humor! We cover a lot of ground in this episode. Here are a few things that we covered! What is C.R.E.W.? Where did it come from and how does it work? how can we simplify perio treatment in our offices? how has dentistry changed over his 30 years in the industry? The Voices of Dentistry meeting is going to have an amazing speaker line up! 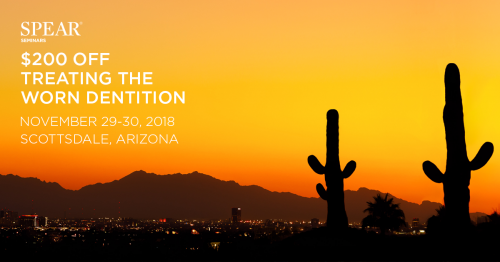 Keep your eyes on Facebook and Instagram to watch as we roll out huge names like: Dr. Jamison Spencer, Dr. Tarun Agarwal, Dr. Erin Elliott and the most popular dental speaker of all time...Dr. Jason Lipscomb! 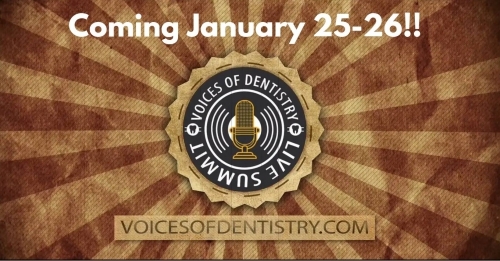 The Voices of Dentistry will be at the DoubleTree resort on January 25-26! Go buy your tickets at www.voicesofdentistry.com right now. We'd like to welcome a new sponsor to the Dental Hacks Podcast. 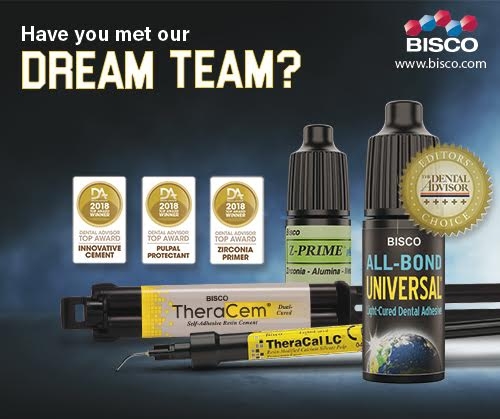 Bisco Dental has been creating innovative dental product for a long time and we appreciate their support! We all run into deep cavity preps. It happens often enough that we really need to have a strategy for it. Do you place a liner? If so, what kind? Do these liners really do anything? And man...they are a pain to place! Enter Theracal LC. It handles just like a flowable composite. You place it right where you want it and then light cure it. You restore as you normal would over top of it. It’s just as simple as that. You get proven benefits of a liner. 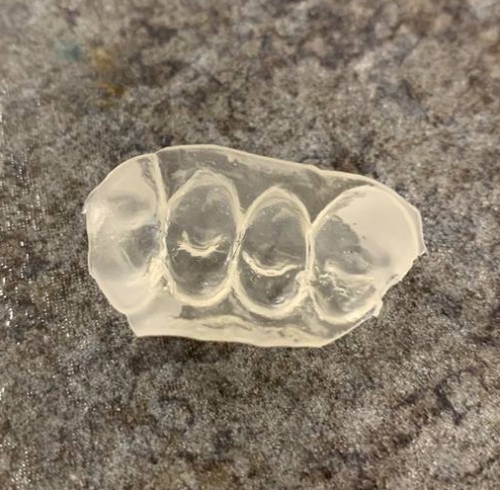 First, calcium release stimulates hydroxyapatite and secondary dentin bridge formation. It has an alkaline pH which promotes healing and it creates a protective seal. It’s radioopaque so you can see it on an x-ray. It’s got all the benefits you would look for in a liner, without all the hassle. Go check out Theracal LC at dentalhacks.com/theracallc. We think this is a tool you’ll be glad you have. Nonstick instruments aren't always nonstick, right? Over time they become a bit stickier. And there is NOTHING more irritating than composite pull back on an instrument. Cosmedent has a sculpting resin that solves this problem without staining your composite. 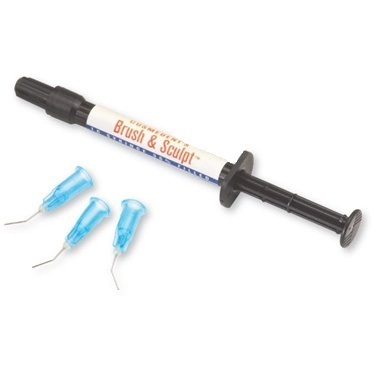 Check out HEMA-free "Brush and Sculpt" at dentalhacks.com/brushandsculpt. You may not need it for every case, but you'll be glad you have it for the cases that need it! Everyone has those instruments that you’re glad to have, but maybe you don’t use them every day. Or maybe even every week. You paid a bunch for them and you want to take good care of them, but they don’t really fit in any particular regular set up or cassette. 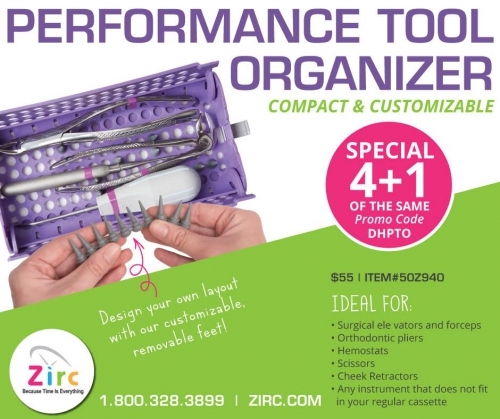 Our friends at Zirc have you covered! They have a product called the “Performance Tool Organizer.” It’s a compact cassette made for exactly these instruments! Check it out at dentalhacks.com/performance. Use coupon code DHPTO for a special “buy 4 get one free” deal! Listen up Dental Hacks Nation...Jason and I are heading to Spear Education! We’re going to be taking “Treating the Worn Dentition” on November 29th and 30th and the legendary Facially Generated Treatment Planning from December 1st to the 3rd. First, we’d like to invite you to come take Treating the Worn Dentition with us! There are a few spots left and you can find out more information at dentalhacks.com/worndentition if you want to check that out. But even better...we’re going to be interviewing some of the Spear Education rock stars while we’re there! We'll be doing “Ask Me Anything” segments with Dr. Gregg Kinzer, Dr. Gary DeWood and Dr. Steve Ratcliff and you can submit questions in the Dental Hacks Nation Facebook group! The Dental Hacks Nation closed Facebook group has over 25,000 members! Head over there to interact with other Dental Hacks listeners, guests and Brain Trust members every day, all day! Remember…if you don’t have anything “dental” on your FB page, we might decline your membership request. So IM the group or email us at info@dentalhacks.com!